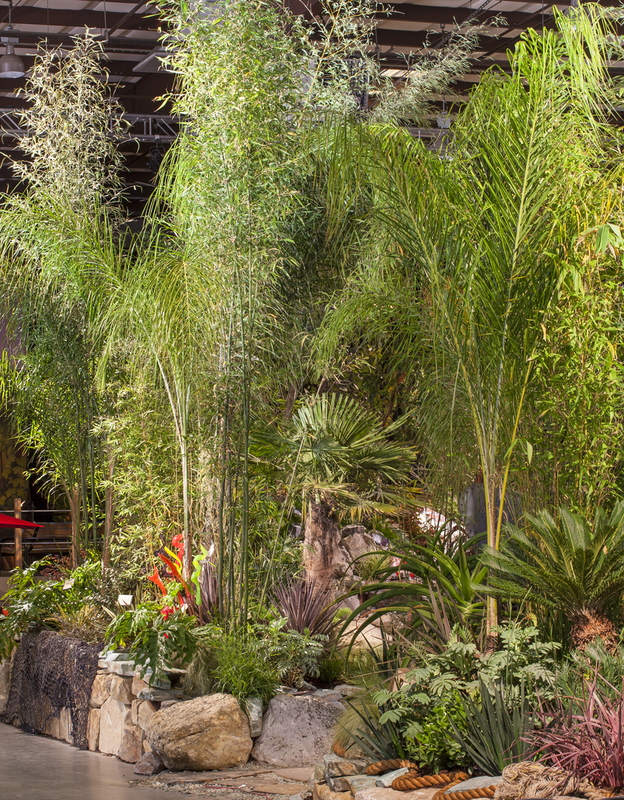 We were inspired by the Jules Verne novel Twenty-Thousand Leagues Under the Sea The dense foliage of exotic plants reaches to the sky, enveloping you and the sounds of falling water. 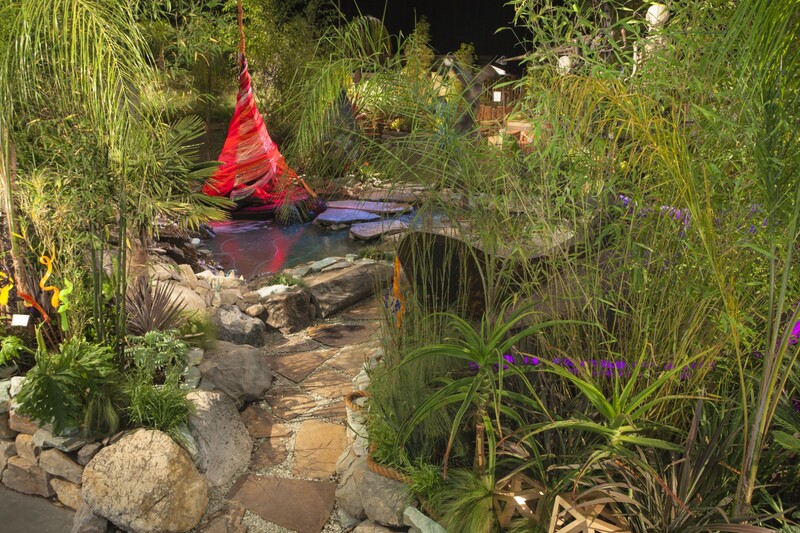 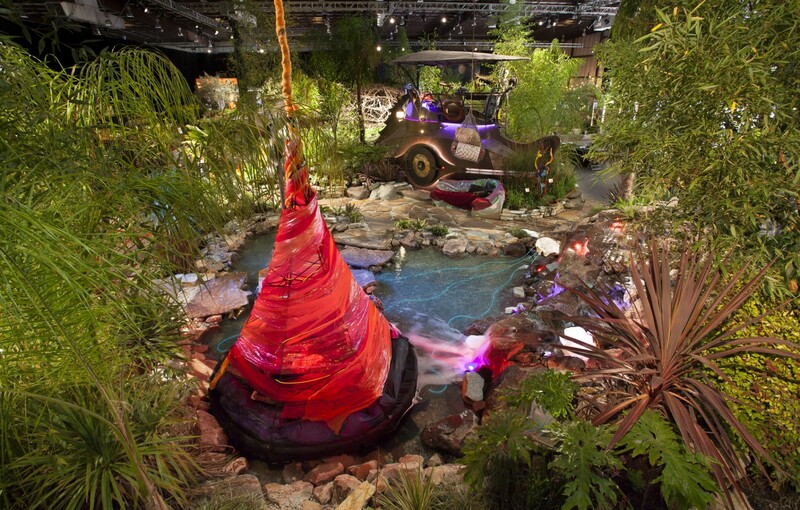 Light from a glowing lagoon plays across the surfaces of this whimsical, fantasy oasis, vibrating with a new energy. 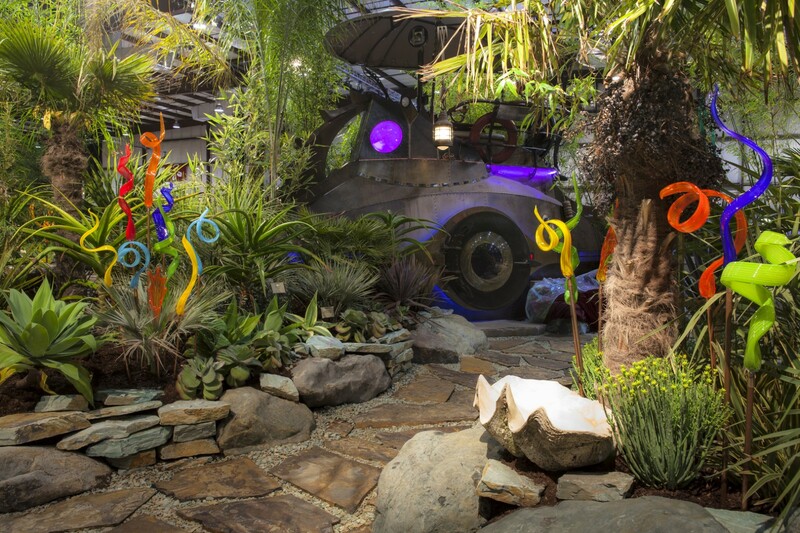 Then you see it: Captain Nemo’s Nautilus, reborn out of the imagination of Burning Man, has returned to its island home. 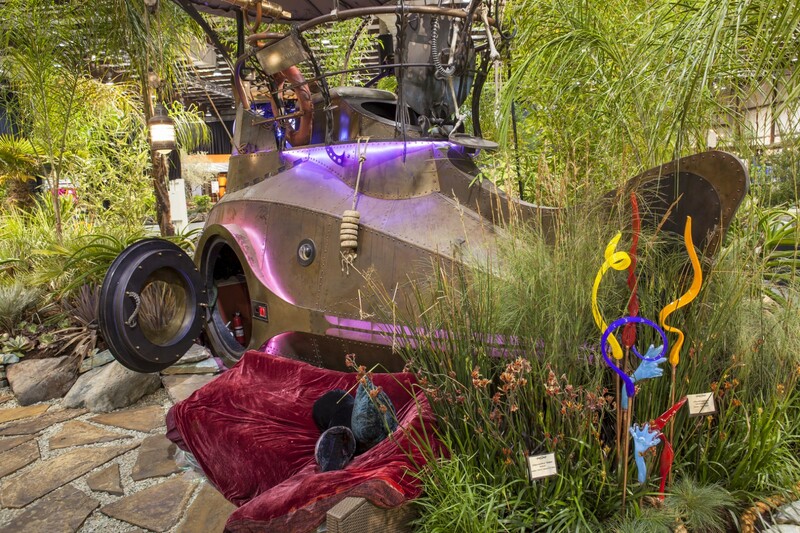 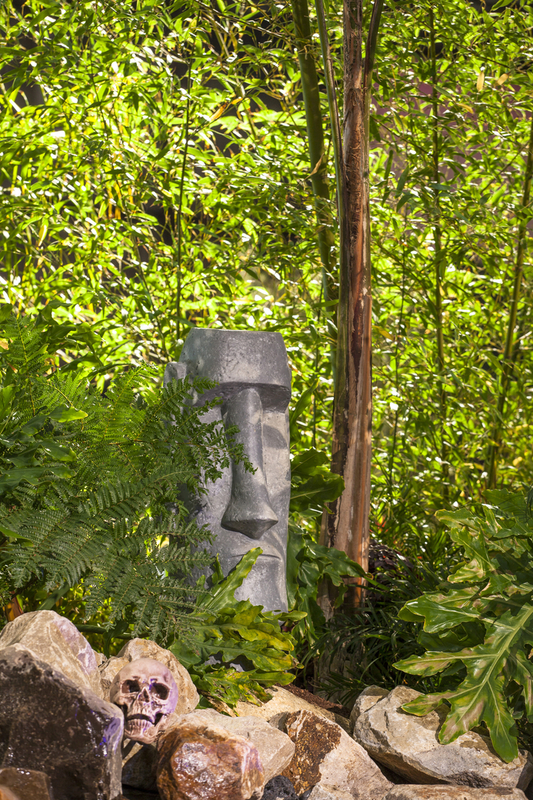 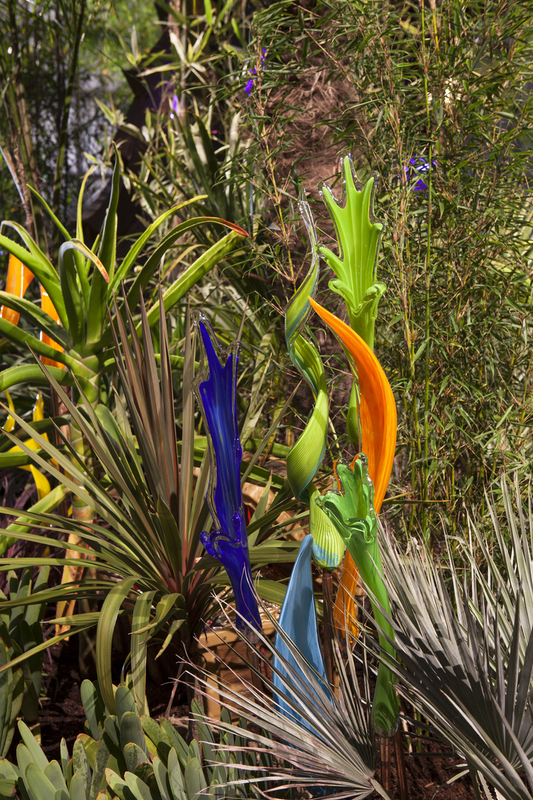 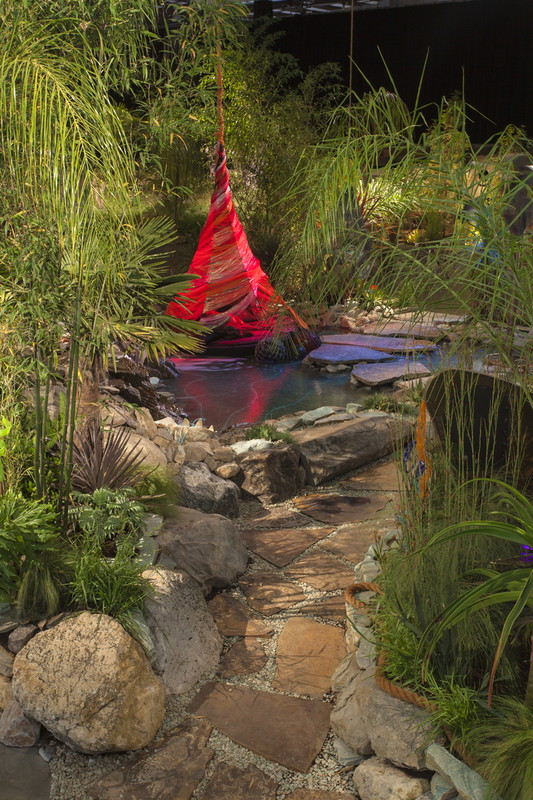 The creative wonder it discovered on the Playa has infused the landscape and now radiates from all the botanical, sculptural, and exotic treasures that Captain Nemo has collected from his adventures around the world. 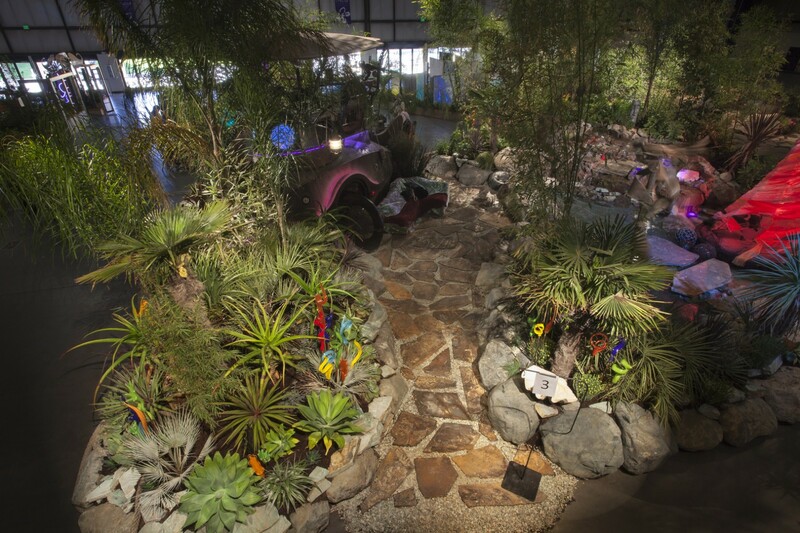 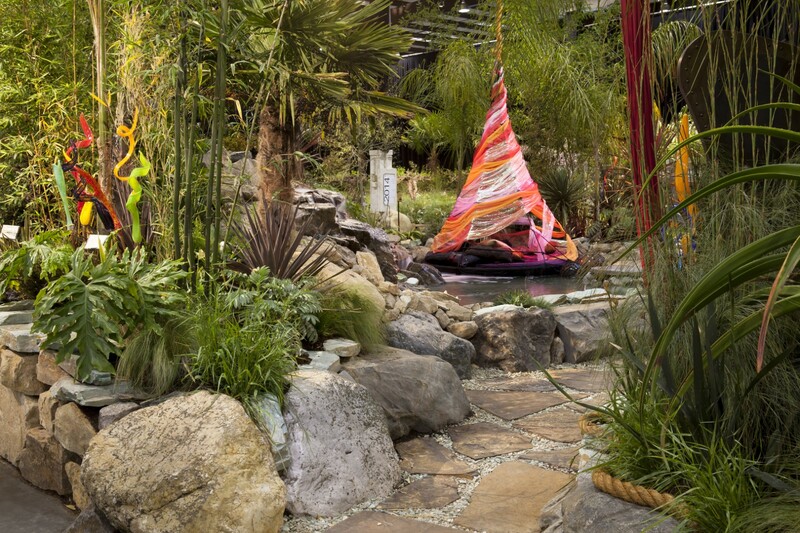 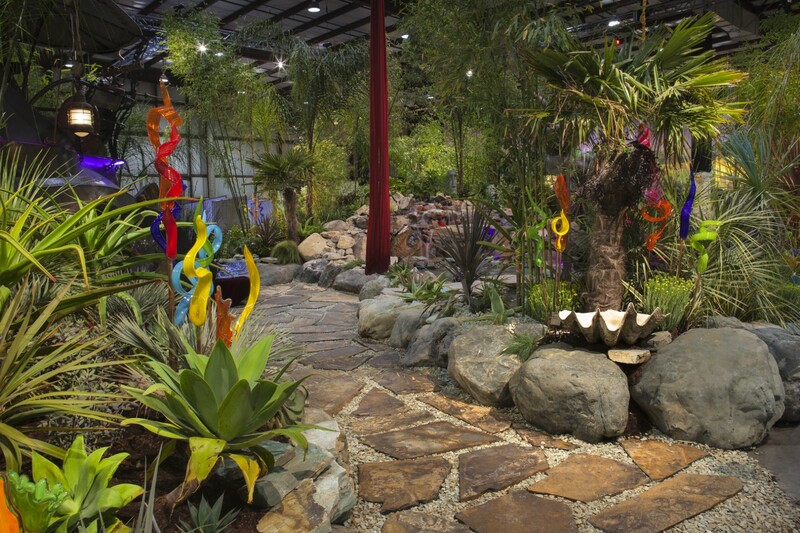 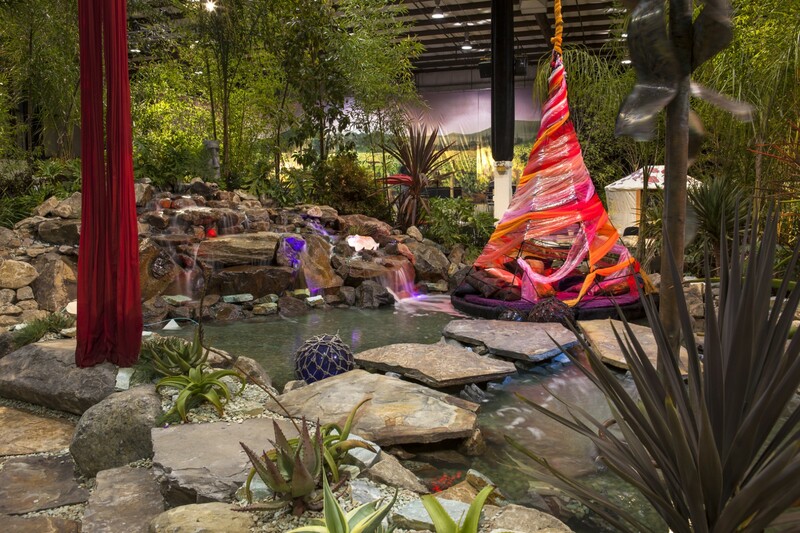 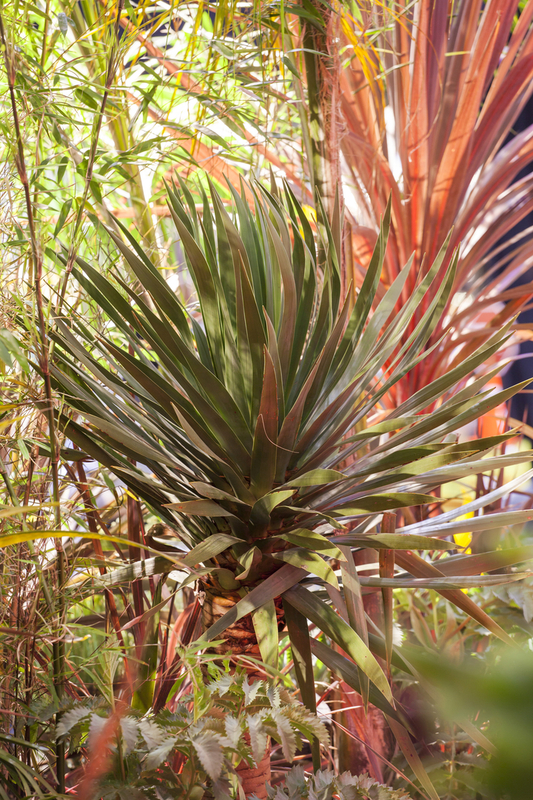 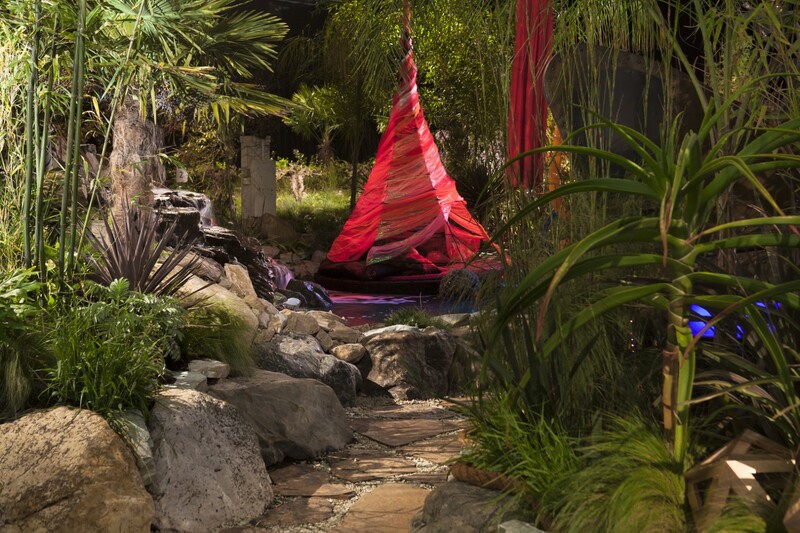 San Francisco Conservatory of Flowers Award – Connecting people and plants in a place of exceptional beauty, a garden that welcomes people in and surrounds them with beauty.